Mercedes B Class Performance, Engine, Ride, Handling | What Car? 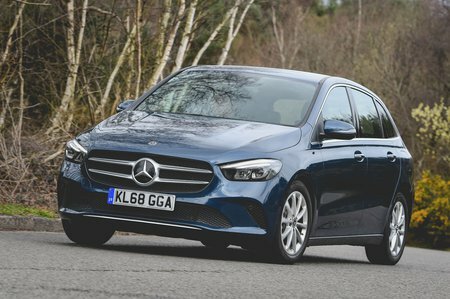 We reckon the entry-level 1.3-litre petrol (badged B180) is the pick of the B Class range. Performance is adequate rather than scintillating, but even with bums on all five seats and a bootful of baggage, there’s enough oomph to get up hills without thrashing the engine. That’s a good thing because, when you do rev the engine harder, it doesn’t sound particularly pleasant. We’ve also tried the 2.0-litre diesels (badged B200d and B220d), and the former, which has 148bhp, is genuinely impressive. It produces its maximum pulling power low down in the rev range, so it feels plenty punchy enough around town and, unlike some diesels, delivers its power progressively rather than in one big rush when the turbocharger kicks in. Of course, with an extra 40bhp, the B220d ultimately feels quite a bit nippier and is capable of accelerating from 0-62mph in a hot hatch-baiting 7.2sec. However, unless you live in Germany and commute on a derestricted autobahn, we doubt most B Class buyers will see the benefit of this extra acceleration – let’s face it, this isn’t a sporty car. That’s why Mercedes has, quite rightly, prioritised ride comfort over handling. The B Class is impressively supple over patchy surfaces and rides really smoothly on fast A-roads and motorways. And, while sharp-edged potholes can send the odd shudder through the body, this is merely noticeable rather than irritating. Overall, the B Class is more comfortable than both the BMW 2 Series Active Tourer and VW Golf SV. But what about the handling, we hear you ask? 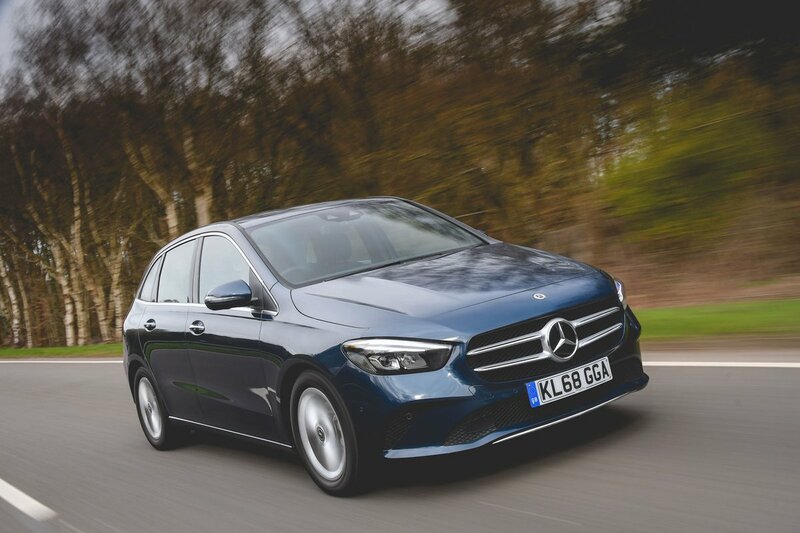 Well, despite being soft and supple, the B Class does a fine job of controlling its top-heavy mass through tight twists and turns. Paired with light but accurate steering and plenty of grip, it’s a surprisingly willing companion when the road gets twisty. In fact, it isn’t far behind the lower-riding A Class for cornering ability. Wind noise is well contained on the motorway and, while there is a noticeable amount of road noise, it’s far less intrusive than in the rival 2 Series Active Tourer.